DO YOU EVER QUESTION YOUR ANSWERS..? 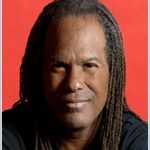 MICHAEL BERNARD BECKWITH is my personal spiritual mentor. I have been attending Agape and listening to his sermons and seminars for years. A decade ago, I had the privilege of traveling with Michael and his wife Rickie Byars to a New Thought Alliance Conference in Bali. We spent a week together, and it was without a doubt one of the most mystical and spiritual experiences of my life. He was a guest a few times on Oprah, Larry King Live, and 20/20. He was also a featured teacher in the famous movie, THE SECRET. Of highest honors, Michael was personally invited to sit in dialogue with His Holiness the Dalai Lama. In his three-part Online Course, Michael will share how placing the big questions before ourselves is still ultimately courageous and vital. Click on the graphic icon above to sign-up – learn more..
As shared with you in my 2016 Feng Shui FORECAST Seminar, this year we are dedicated to helping you IMPORVE your Health, Life, Relationships, Wealth and Career. From a Feng Shui perspective, this is a year of HUGE SHIFTS in Mind, Body, Spirit and Wealth ENERGY. Thus we will be introducing you to books and ONLINE programs with “phenomenal” leaders, teachers, authors, spiritual visionaries, business, health, relationship, love and life coaches, like Michael Beckwith, who can ..
FAST FORWARD YOU TO… HEALTH, HAPPINESS, WEALTH, PEACE OF MIND AND PROSPERITY in 2016, from the comfort of your own home and office. ← What’s trending in real estate and Feng Shui today?